Is the FBI team working hard enough in the first season of the CBS series? As we all know, the Nielsen ratings typically play a big role in determining whether a TV show like FBI is cancelled or renewed for season two. Unfortunately, most of us do not live in Nielsen households. Because many viewers feel frustrated that their viewing habits and opinions aren’t considered, we’d like to offer you the chance to rate all the season one episodes of FBI for us here. What do you think? Which season one episodes of the FBI TV series do you rate as wonderful, terrible, or somewhere between? 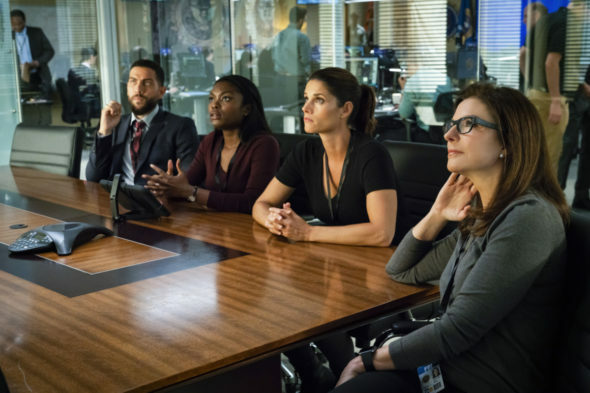 Should CBS cancel or renew FBI for a second season? Don’t forget to vote, and share your thoughts, below. More about: FBI, FBI: canceled or renewed? Get rid of Sela Ward! Jeremy Sisto and Sela Ward are terrible. Why does that Jeremy have to yell constantly. So bad. We will not be watching this show. Tried two-three episodes and all have the Jeremy character yelling and the Sela character doing, well I don’t know what she was doing. Sad. This is my number one show to watch. Love Jeremy Sisto and Selma Ward. Love Maggie and OA. I am losing interest in criminal minds since emily prentess(Paget Brewster) took over as unit chief. Love the show but i miss rookie blue you need ben bass with missy. Problem I have with the NEW shows is OVER PROMOTED, by the time you get to see it you have all ready seen it. Compared to a Great UNDER PROMOTED SHOW like The Brave FBI is a FLOP!!! FBI is terrible. The actors are so stiff like they are reading their line lines. At times the Jeremy Sisto character is talking so fast you cannot understand what he is saying. Pooh to this new show. Weak. What a disappointment! Why don’t actors seem real anymore? So sad. Great show and actors. Kept me interested. I’ll watch next week. I agree, Jeremy. With the exception of Jeremy Sisto, like I said above he was one of this show’s “Weakest Links”.